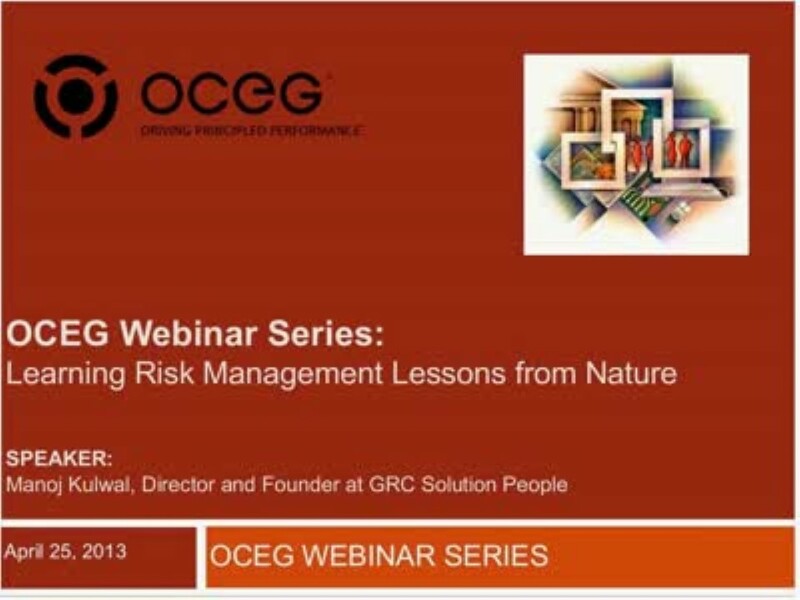 Nature has honed risk management concepts and practices over millions of years. These have been successfully and sometimes unsuccessfully tested on thousands of species on planet earth. In this session, Manoj Kulwal will share examples of controls developed and adapted by various natural species, to protect themselves against literally life or death risks they face every day. The examples can provide risk managers with useful tools to bring abstract risk management concepts to life, so employees in their organization can not only remember these concepts but also actively utilize them in their risk analysis. Learn about bringing abstract risk management concepts to life to increase retention and usability of risk management concepts.